We’re glad you’re here and hope to see you at one of our weekend worship services. Centerpoint is full of imperfect people who are figuring out what it means to make Jesus the center and point of our world. Come and experience one of the best hours of your week. Although each campus has its own distinct feel, Centerpoint is one church in two locations. To help yourself get a little feel of what our services are like, click here to sample our latest sermons. When entering the parking lot, look for one of the red easy ups that says "Welcome Center." A volunteer will help take you and your kids to our kid's ministry check-in. We have engaging, safe, and age-appropriate ministries for kids and students birth through grade 6th. Parking is directly off 2nd Street with two entrances. 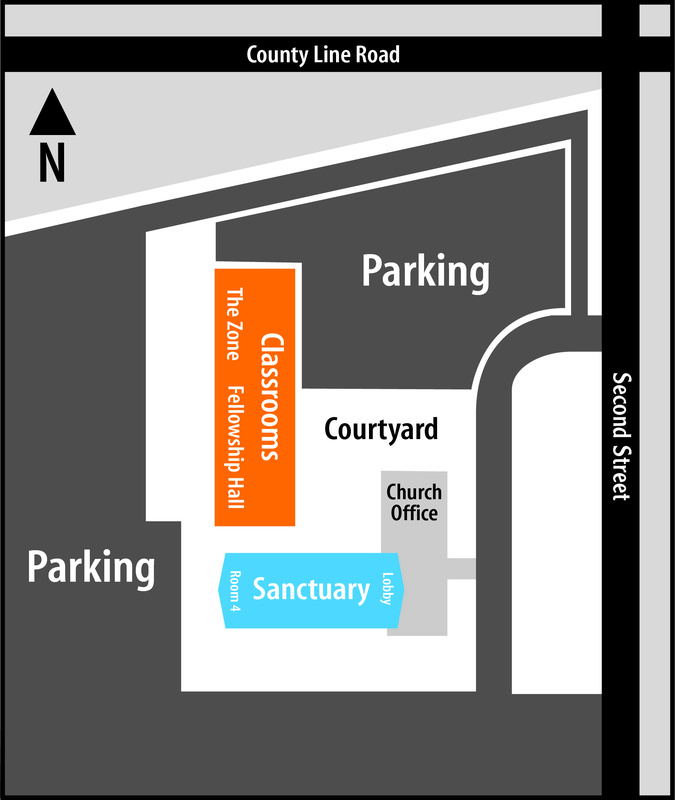 If you need handicapped parking, it is available on the south side of the sanctuary.